Jessie Arnold’s been living in a tent since her last house burned down (Beneath the Ashes, 2000, etc. ), so it seems like a welcome change when she’s asked to drive a brand-new motor-home from Coeur d’Alene, Idaho, up the spectacular Alaska Highway while she waits for construction to begin on her new place. But Jessie won’t be enjoying a scenic idyll for long. A few days into the journey, her lunch is stolen by a young man she finds cowering under her RV—a cold, hungry teenager named Patrick Cutler. Her road friend, Maxie, a senior citizen with a dachshund who has taken a shine to her husky Tank, shelters the boy for the night. Before Jessie and Maxie have a chance to question Patrick further, though, he disappears, along with Maxie’s larder. Patrick is headed to Fairbanks, on the run from Cody, Wyoming, where his mother was beaten to death. His brutal cop stepfather, McMurdock, claimed Patrick killed her with a baseball bat before he checked out of Cody too. Detective Loomis, McMurdock’s colleague, is investigating. 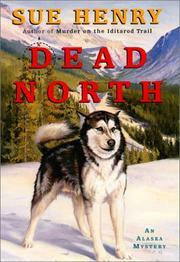 When another Cody teenager is thrown off a bridge, Loomis joins the Royal Canadian Mounties in pursuit of Patrick and McMurdock, setting the stage for Jessie and Maxie to encounter Patrick once more—and for a chase up the Alaska Highway, with lumbering motor-homes and big rigs providing NASCAR-like thrills. A stock travelogue interrupted by stock peril. There’s not much doubt about the villain either, although voluble Maxie makes a nice change from Jessie’s more taciturn friends back home.